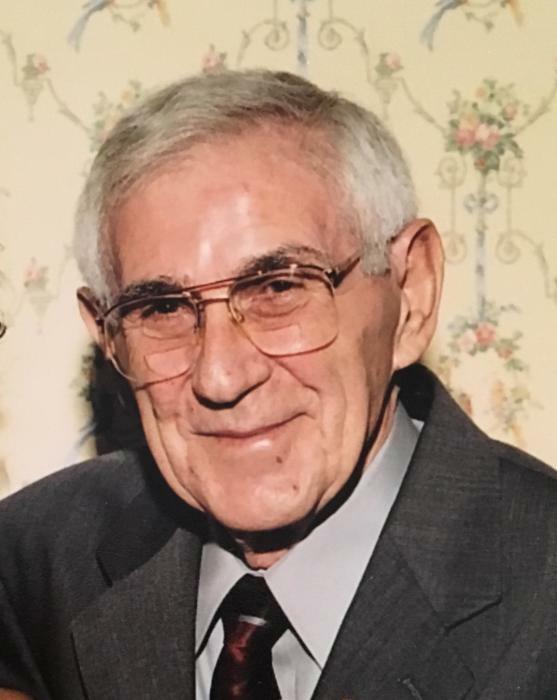 John J. Trigilio , 94 of Batavia, New York passed away Thursday, June 21, 2018, at Crossroads House, surrounded by his family and friends. Born on January 30, 1924, in Oakfield, he was the son of the late Angelo and Sebastiana (Bordonaro) Trigilio, the ninth born of ten children. John graduated from Oakfield High School and attended Morrisville Technical Institute. He was a life-long resident of Akron and Batavia, and he married Phyllis Stegman on June 5, 1948. He joined the United States Coast Guard, serving our country in World War II in the Pacific Theater, and was stationed for a time in the Philippines until his discharge. Following his military career, he spent his working years in retail, having been employed as a specialist in the sales of furniture for various companies including WT Grant, Hens and Kelly and Naums. He was also a tavern keeper in Akron until his retirement John was an avid coin collector and sports fan. He had a particular love for the New York Yankees whom he enjoyed watching with his family. He was a devoted and loving husband, father and grandfather, and he enjoyed all of the time he could spend with his family. In addition to his parents he was pre-deceased by his loving wife, Phyllis, and eight of his siblings - Nicholas, Frank, Angeline, Rose, Josephine, Samuel, Anna and Joseph. John is survived by his loving children, JoAnn (James, deceased) Colvin of Penn Yan, John (Elizabeth Ciambrone) Trigilio of Lockport, Jeffrey (Christa) Trigilio of Camarillo, California and Jean (Steve) Bready of Fayetteville; grandchildren Jeffrey (Courtney Ritter) Trigilio of Manhattan, Jake Trigilio of Buffalo, and Jordan (Karen Moy-Trigilio) of Brooklyn; his long-time partner, Betty Geisler of Akron, as well as his sister, Jennie Paradowski of Batavia, and many nieces and nephews.